A couple days ago, Dr. Mercola published an article on Agave Nectar stating that it is an unsafe, toxic substance. In his article, it is implied that agave nectar could even be worse for the body than many forms of processed sugars such as High-Fructose Corn Syrup. 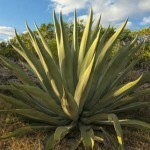 I have had a lot of e-mails over the last few days regarding this article on Agave Nectar. 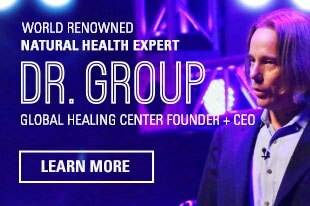 Now let me say up front that I have the highest respect for Dr. Mercola and this article is not meant to attack him personally, only to state a fair evaluation and my belief on the matter of agave nectar toxicity. 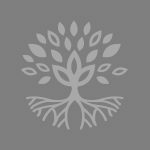 As I read his article, immediately a phrase from traditional Ayurvedic medicine came to mind: There is one answer to any question regarding human health - "it depends." And an "it depends" attitude may shed some light on the recent agave-nectar debate. It will not serve us well to take a limited view on agave nectar. Anytime we label a naturally occurring food as "good" or "bad," we are bound to encounter some problems. Here is why. If taken from a holistic perspective, multiple points emerge as to the relativity of the "agave-argument." I have outlined these points below. Agave nectar is high in fructose, but so are many foods that we eat. This is Dr. Mercola's main beef with agave nectar. And while it is true that agave is quite high in fructose, it is the most common form of sugar in all fruits. Dates, molasses, raisins, apples, honey, and even many vegetables and other plants are high in fructose. Fructose is a natural form of carbohydrate, and for thousands of years, it has been an important source of energy for the body. Fructose in live raw fruits is good for us! A scientific statement from The American Heart Association found that consuming limited amounts of fructose, in a pure form, had no negative effects on the majority of individuals. 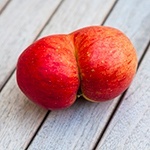 Other studies show that fructose, in limited amounts, may even reduce the risk of prostate cancer. Another study found that the beneficial fructans found in agave may help fight bone diseases such as osteoporosis, as well as other diseases such as diabetes and colon cancer. This research also suggested that fructans may promote the creation of beneficial gut bacteria, allowing for better absorption of calcium and magnesium (two important minerals for bone health). There is no comparison between a natural form of fructose, such as in fruit or from agave, and the chemically-processed, pesticide-laden, genetically-modified High-Fructose Corn Syrup (HFCS). The fructose in agave is a slow release form of sugar. This means that, in comparison to HFCS, which spikes blood sugar levels, agave does not cause the stimulation of insulin secretion that leads to harmful rises in blood sugar. What is more, the enzymatic processing of agave is very different from the process of High-Fructose Corn Syrup, which fabricates fructose out of the glucose made from the milled starch of corn. For High-Fructose Corn Syrup, glucose chains in the starch are broken down into long chain lengths of glucose molecules. These long chains are less sweet but offer easier viscosity and functionality than raw glucose. Producers of HFCS are looking for this better viscosity and adaptability, as it allows them to add it, unnoticed, to virtually any substance. To do this, they dry the corn and mix it with water and sulfur dioxide. From there, the starches are separated from the kernel, fiber and protein. The separated starch slurry is then processed at very high temperatures, mixed with acid, neutralized, and then treated with an enzyme to create a 42% fructose and 55% glucose syrup. It is these strong acids and caustic chemical additives that are believed to be related to mercury contamination in HFCS. Moreover, most HFCS is made from genetically-modified corn, adding yet another contaminant into the processing mix. Organic agave nectar's processing could not be further related to this aforementioned processing of HFCS. Agave is processed through either the use of natural enzymes or through the use of thermal hydrolysis. These processes are essentially used only to evaporate the nectar from the liquid juice that is extracted from the plant. The processing of agave is done in the exact same way in which bees make honey, whether through a natural enzyme in the bee's stomach or when they fan their wings to evaporate the natural water out of the sweet liquid before capping into the honeycomb. In essence, no refinement, beyond the evaporation of water, occurs in agave processing. To put this in perspective, one must consider that hydrolysis is a 100% natural process of molecule separation. The human body does it every day! Dr. Mercola's statement about the FDA's rejection of agave due to pesticide residue requires proof. To this day, and according to Madhava's website, they have seen no evidence of FDA rejections, and many quality brands of agave have certainly never been rejected due to pesticide content. Quality organic brands of agave are 100% pure and contain absolutely no additives. 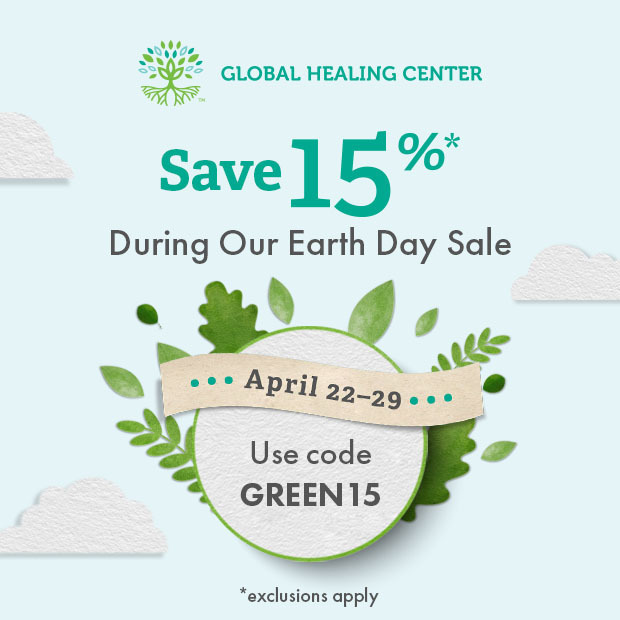 Dr. Mercola's article warns against saponins disrupting red blood cells, diarrhea, vomiting and even miscarriage in pregnant women. While agave nectar does contain saponins, it is certainly not dangerous. Many of the foods that we eat, including beans, legumes, paprika, and alfalfa, contain these natural phytosterol compounds. Not only are they not dangerous, but saponins offer many healthy properties. Moreover, there have been no documented studies that have ever linked agave nectar to miscarriages. Nor is there any research which shows that agave even contains Anodin and Dinordin, the steroid derivatives linked to miscarriages. His article also warns that agave contains a contaminant called hydroxymethylfurfural (HMF), a bi-product of heating fructose. First, agave nectar that has been enzymatically-treated does not have any of these chemical bi-products. Secondly, while agave that is heated at low temperatures will have a resulting HMF content, the levels are so minimal (of 5-7 milligrams per kilogram) that they cause no health concern. It is common knowledge that wine holds much higher HMF levels than agave nectar. It is true that some lower-quality forms of agave have been put through extensive cooking processes that alter the chemical structure of the nectar, making is nothing more than man-made fructose. One company called Madhava Agave Nectar produces an organic raw agave that is 100% organic-certified by the USDA. They harvest the nectar from living plants and do very minimal amounts of processing on the nectar. We were told by Madhava, that their Quality Control team regularly visits their Mexican suppliers to ensure quality. For hundreds of years, Mexican traditional societies have revered this plant. It was a natural form of sugar that was eaten seasonally, in limited amounts, and in a raw form. This plant, high in vitamins and minerals, was even used by traditional medicine cultures as a digestive support, and a blood purifier. Sweet foods have been a part of the human diet for thousands of years. They are an important part of our diet, in moderation. As with any substance, addiction can come from over-indulgence, but not from the inherent qualities of the food itself. Craig Gerbore of Madhava warns against extreme views drawn from extreme examples designed to frighten people, not educate them. 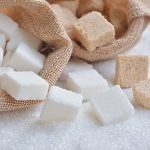 Educate yourself on the facts, and in Gerbore's words, "What is a 'healthy' sweetener? One that you use moderately and sensibly." Madhava's Quality Control, for example, routinely inspects their agave supplier facilities in Mexico and Colorado. The facilities are run by intelligent, professional individuals and are kept to the highest of international organic standards. Moreover, as stated on Madhava's website, the statement that there is a shortage of agave plants is not only incorrect but quite the opposite. 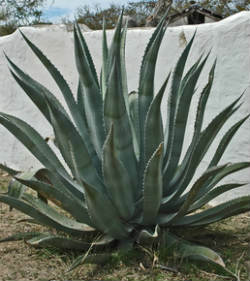 There are abundant and healthy agave plants available for use. I use agave nectar in moderation. I recommend everyone do thorough research on any food or food product and decide for themselves whether they think they should consume it. What are your thoughts on Agave Nectar? Any comments are welcome! "Agave Is This Popular Natural Sweetner Worse than High Fructose Corn Syrup?" 2010 July 3. Johnson RK, Appel LJ, Brands M, Howard BV, Lefevre M, Lustig RH, Sacks F, Steffen LM, Wylie-Rosett "Dietary sugars intake and cardiovascular health: a scientific statement from the American Heart Association. Circulation." 2009;120:1011–1020. Giovannucci E, Rimm EB, Wolk A, Ascherio A, Stampfer MJ, Colditz GA, Willett WC. "Calcium and fructose intake in relation to risk of prostate cancer." Cancer Res. 1998 Feb 1. "American Chemical Society. Ingredient in tequila plant may fight osteoporosis and other diseases." ScienceDaily, 23 Mar. 2010. Web. 8 Apr. 2013.